Tom Davis has been Head Boatman at Lower Birgham beat on Tweed for three years now, having served as Boatman for six years prior to his promotion. Tom knows the beat like the back of his hand and has done a tremendous job in making significant improvements since he took over the head role. Not surprisingly, he has earned an excellent reputation on the River. There are further plans for improvement on this very attractive and productive beat, and to help achieve these, a new Boatman has been appointed for the 2014 season. 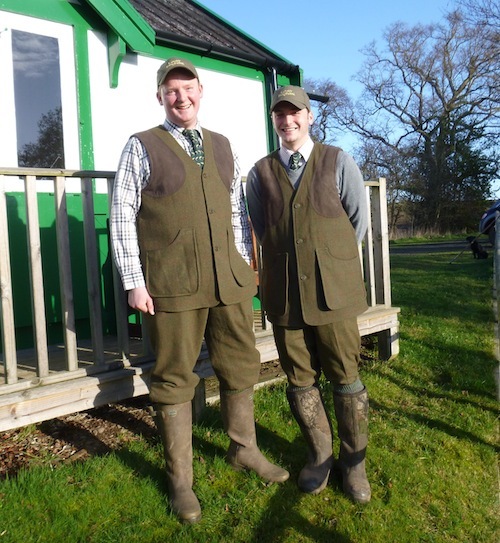 Ryan Morrison, who joins on 1st February, started Salmon fishing at an early age with the Tweedstart Programme and developed his excellent Boatman and Ghillieing skills at Makerstoun and, latterly, Milne Graden.